Food chart templates have different functions as there are a lot of issues and discussions that are needed to be presented with regards to food safety, food handling and proper food groupings. 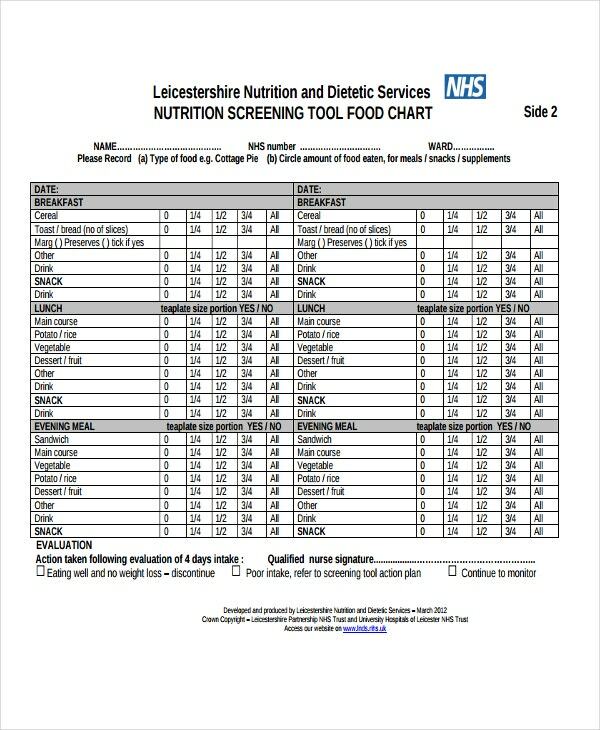 The usage of food charts help a lot in terms of the functions that are needed to be executed in the field of nutrition, medicine, research and academics. This post is a collection of food chart templates that are used in various processes. 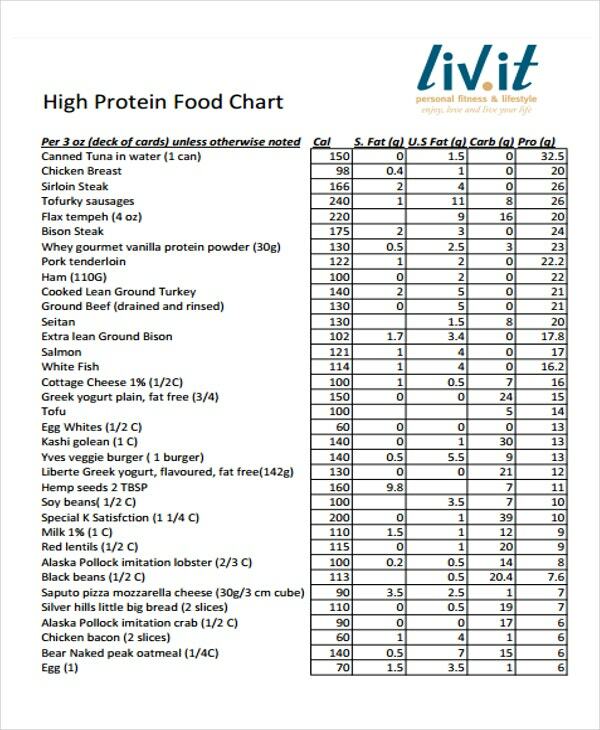 Use any of our templates as references in creating the specific food chart that you need to have. Other than our samples and templates of food charts, you may also want to learn more about Time Charts and Nursing Flow Charts by browsing the specified links. 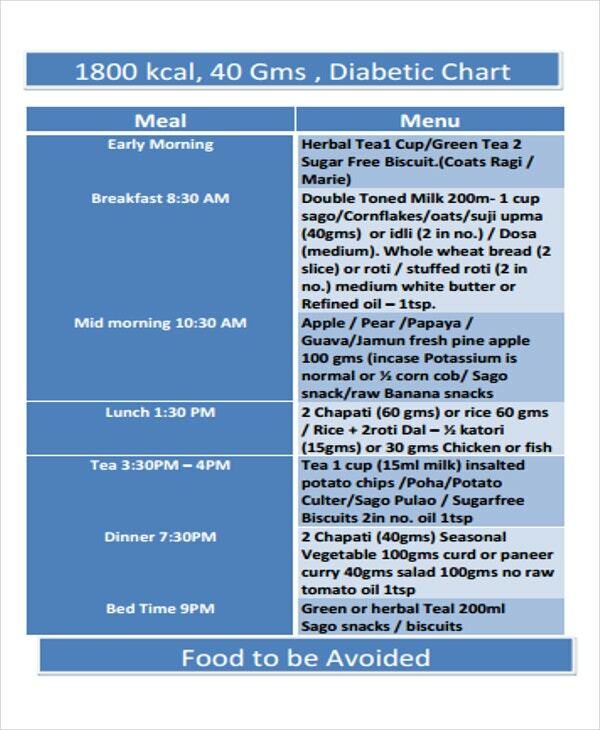 Diabetic food chart help patients with diabetes to identify the types of food that they should avoid. More so, it can also list the suggested food items that they can take in particular times of the day to control their condition. 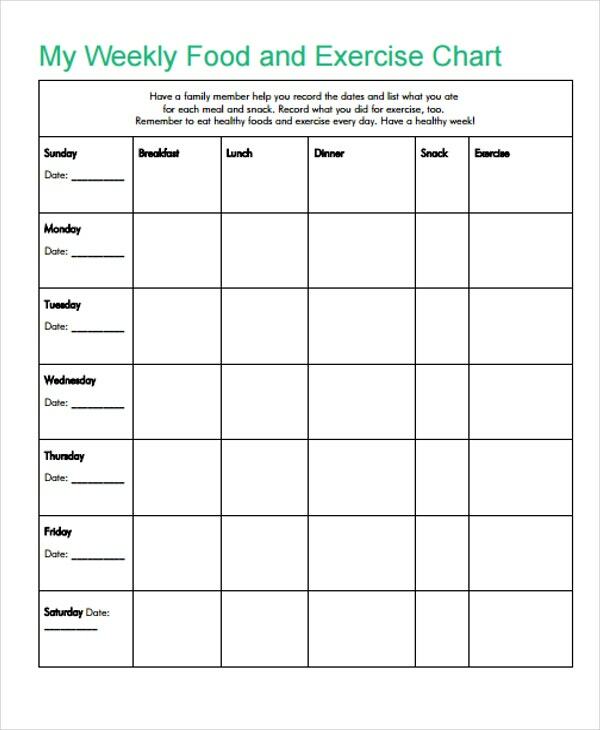 A daily food chart is used by people who would like to achieve a healthier lifestyle or those who are keeping up with a diet routine to lose weight or for any other purposes. 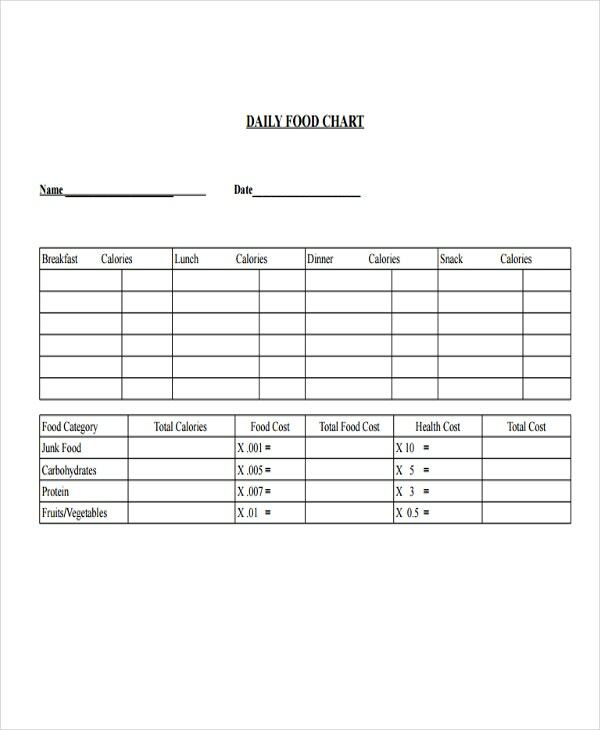 Daily food charts usually contain the food items that can be eaten by an individual, the calorie content of those food items, the food cost, and the health cost of the items that the individual will take. 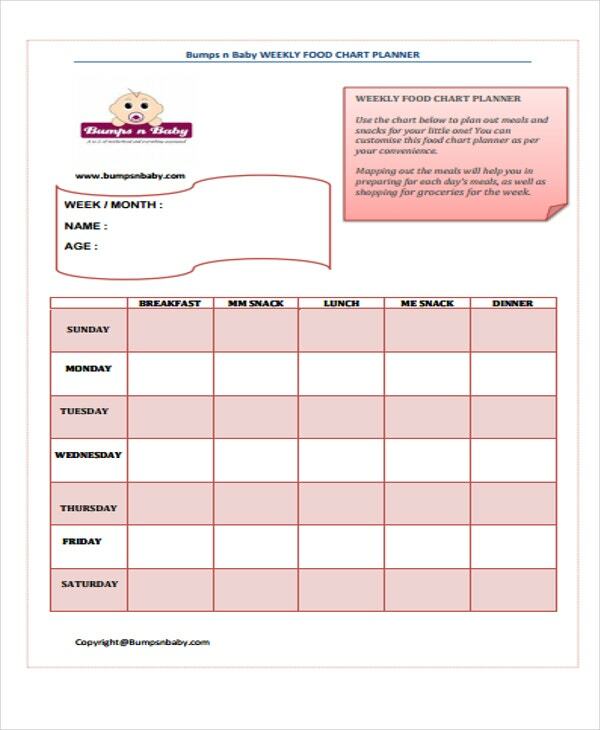 A weekly food chart is used to record and plan the food menu of an entity for an entire week. This can be used either for the purpose of budgeting or maintaining a specific meal plan. Other than our samples of food chart templates, our Excel Chart Template and T Chart Template samples are also available for download. Be specific regarding the purpose of food chart creation. 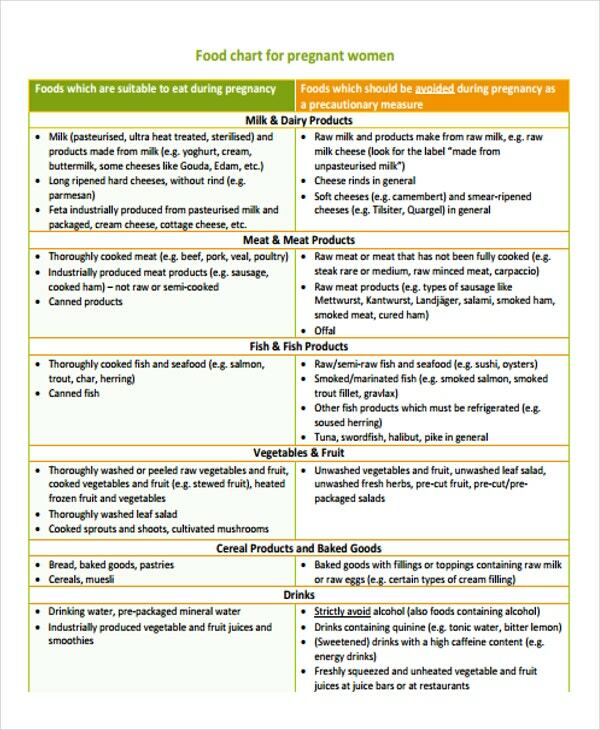 Identify the food items that should be present in the food chart. Place the food items in the allocated areas for the specific time frames they need to be taken. 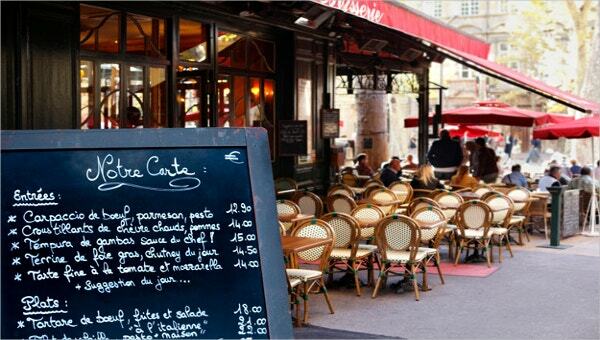 Specify the time duration the food chart should be followed. 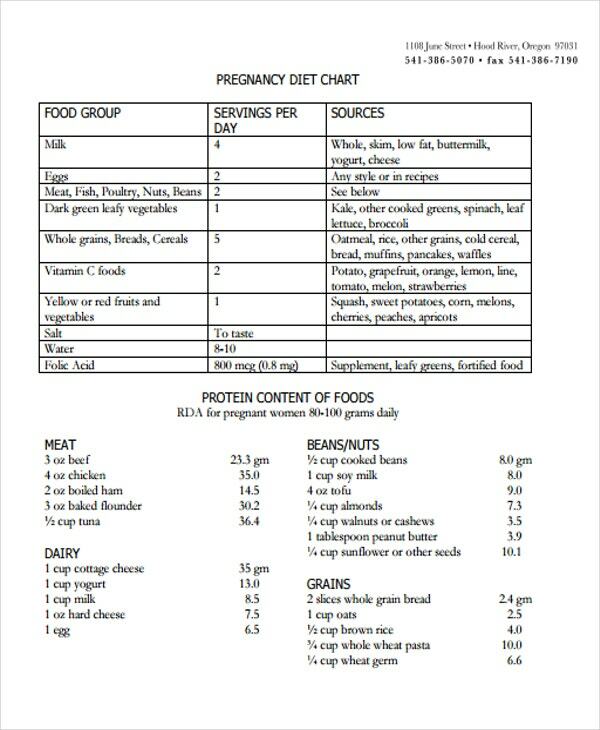 Be precise with the food items that you will put in the food chart. State the name of the specific food rather than being vague and just mention a food group or a food type. Make your food chart easy to understand. Organization of food chart content is key in this matter. Directly address the concerns and needs of the entity to whom the food chart is for. Aside from our food chart samples and templates, you may also browse through our downloadable Blank Chart Template samples for additional references in creating a chart format.